Let's take a look at Gloom! Pokemon One a Day! 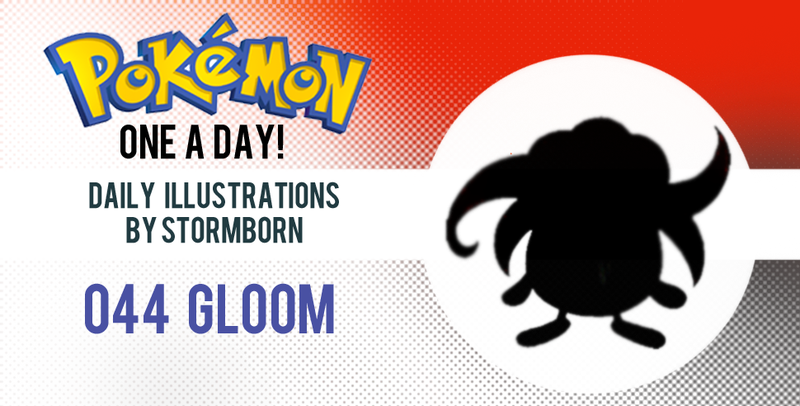 Gloom...is a Pokemon who I never really cared for. Its kind of derpy in its own little way, what with the drool dripping down its mouth and the styling of its eyes making it look either lax or worried depending on how they're positions. 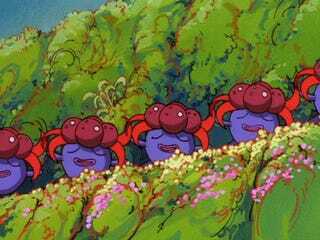 My original take on Gloom was following the route of yesterday's Oddish. Somewhat realistic, with roots and vines forming limbs and the general direction was realistic. Other than that, it wasn't very interesting visually, and the original attempt at coloring looked horrid...But it actually fit. The colors I went with were all tones associated with rotting. Dull greens, yellows and browns for decaying tips of the leaves. That part is what I miss from the design which I dropped in favor of going very simplistic and cartoony. I've been doing a lot of various cartooning styles lately, haven't I? Going this route, I was originally going to give Gloom the personality of a middle school goth girl. Originally I had a skull on her headpiece and piercings and sought to give her thick eye shadow and even black lipstick. It was too much to work into and I decided to keep things simple, playing off of the basic arms and legs of Gloom and having a very geometric base which would hold three basic circles for the budding flower for its head. The gloomy emo aspect from the goth attempt (yes, I'm aware they're two different subcultures) can be seen in this illustration in how I turned Glooms original flower petals/leaves into hair, and having one eye covered. The gas at the top was originally green, which contrasted well but I dropped that after I had trouble making this little nuclear puff of poison gas look more than just a broccoli growing out of her scalp :P Also, both the arms and legs were originally longer than you see here. My take was very exaggerated in that since and I have no idea why I elongated those limbs, looking back at it, since the original Gloom is very stumpy. And that rounds out today's Gloom! The color palette was fun to work with balancing out blue and purple for the body for an overall quirkier Pokemon. Thanks for looking - reading and viewing! See you tomorrow! Let&apos;s look at Oddish! Pokemon One a Day!